is an organization dedicated to the development of corrugated packaging machinery in India. With the expertise gained from over 5 decades of experience in Machine building, Micro has joined the ranks of the world's leading names in corrugated packaging machinery by designing, developing and building machines that reflect engineering excellence and outstanding performance. As the future unfolds new challenges, MICRO is all set to make a significant contribution to the corrugated packaging industry by innovating, adapting and creating new solutions. MICRO is gearing itself with new capabilities, new technologies and state-of-the-art facilities to transform the challenges of the future into opportunities to excel. Backed by a glorious past full of achievements, MICRO looks forward to the future with hope and confidence. 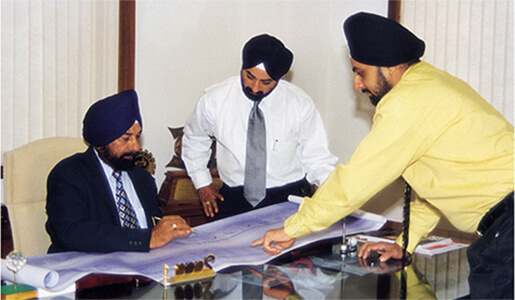 Every successful organization is built by men, driven with a passion to excel. At Micro, this inspiration comes from Surinder Bhurjee to whom making machines is not a matter of business but an enduring passion. His insight, enthusiasm and his technological skills in designing, find expression in every machine that bears the name of Micro. 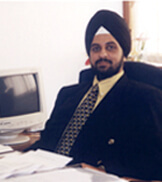 During the last five decades, Surinder Bhurjee has taken Micro to great heights of success and achievement. 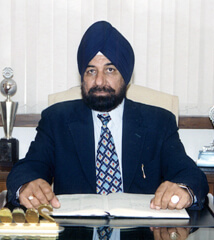 His son, Gurinder Bhurjee (Vicky), with his qualities of managerial skills, enterprise and leadership continue this endeavor with greater zeal. It is this passion for perfection that has earned Micro the trust and confidence of the corrugated packaging industry in India and abroad.